The concept of homeopathy was developed by the German physician Samuel Hahnemann and first stated in 1796. His concept involves the use of known substances and their affect upon the emotions, mentation and physical body processes. He noticed that ingesting relatively pure substances found in the environment (plant, animal and mineral) while in a healthy state produced perturbations (symptoms) in the emotions, mentation and physiology of the healthy subject. He discovered this fact through a chance consumption of quinine bark. He did not have malaria but to his astonishment, it produced in him a syndrome remarkably like that of someone that did have malaria. He then wondered if he could match a known "proving" of signs & symptoms with various signs & symptoms of the diseased states in his patients. He found this to be indeed the case and that "like cures like" or "similars cure". This alone was a great leap forward in the development of a serious healing modality that actually worked. Unfortunately, some of the substances that he wanted to "prove" were toxic in some manner. His next task was to find a way to use the substances for healing without causing any adverse effects in the patient. The method that he eventually developed that retained the healing qualities desired is now called dilution and succussion. At first he only did a serial dilution but with a diminishing effect on curative properties. Again, purely by chance he later discovered the process that he called succussion that allowed for the curative effect to be retained and magnified. Today a small amount of the relatively pure substance is subjected to serial dilution using a water/ethanol mixture in glass vials. This is because most remedies at that time were in the form of tinctures (substances steeped in water/ethanol mixtures). At each dilution step, the vial is shaken vigorously for a time (succussed) in order to both reduce the toxic substance and to make the mixture more potent. According to the desired effect, various dilutions were then prescribed for the patient based upon experience gained in clinical practice. There is much controversy surrounding the subject of homeopathy. For a pro article see this link: [ http://www.latimes.com/health/ct-met-0306-homeopathy-20110306,0,4764452.story ] and for a con article see this link: [ http://www.quackwatch.com/01QuackeryRelatedTopics/homeo.html ]. In any case, you are able to make your own remedies easily, go to this article to see how to do so: [ http://oaks.nvg.org/home-remedies.html ]. This article will show that the information encoded into Homeopathic remedies works directly with the information that is encoded within the human body-field of the patient to bring any disharmony (dis-ease) within the body back into balance with the whole. As a result, any derangement in the physiology of the organism will become normal and any waste buildup will soon be dissipated. The normal healthy state will be restored for the patient. For background information concerning the types of electromagnetic and geomagnetic fields that living entities encounter within the environments that comprise the biosphere on the planet Earth, go to this website: [ http://www.journalinformationalmedicine.org/cr1.htm ]. All matter consists of sub-atomic components called by physicists as either bosons or fermions. The wavicles [ http://www.journalinformationalmedicine.org/keycon.htm ] normally associated with matter are fermions [ http://en.wikipedia.org/wiki/Elementary_particle ]. One type of Boson of interest to us in dealing with this article is the photon. There are 2 general types of fermions: Quarks (up, down, charm, strange, top, bottom) and Leptons (electron neutrino, electron, muon neutrino, muon, tau neutrino, tau). It is the type, number and spin orientation of quarks that make up atomic wavicles such as neutrons, protons. In all cases, it is the spin orientation of the total mix that determines the characteristics of the field that any particular form of wavicle displays. The nucleus of all elements [ http://www.chemicalelements.com/ ] is composed of a certain number of neutrons and protons. Thus the total mix of quarks and wavicles of any particular element have a characteristic field. The number of electrons will closely match the number of protons but are not necessarily the same. Also, the distributions of electrons about the nucleus appear to be in statistically determined areas characteristic of the number of protons in each element. For the purposes of this discussion, it is the characteristics of the sum total of the field components of each element that contains the information of import. This fact becomes even more complex in scope when the highly structured compounds found in the botanical world are considered. These highly structured compounds are the usual choice for making medicinal compounds [ http://www.journalinformationalmedicine.org/htp.htm ]. No one will deny that herbal medicines are useful in the treatment of disease! This fact is the original basis for all modern day pharmaceuticals. is the basis for recording electromagnetic and audio frequencies. These sequentially ordered domains then have been encoded in such a manner as to allow for the storage and retrieval of information. This information may be "read" by the appropriate equipment, mostly the same type of equipment that made the recording in the first place. transmitting that carrier wave with the encoded signal from a source through space and then translating the signal from the carrier wave upon reception of that same carrier wave some distance from the source of the original transmission. 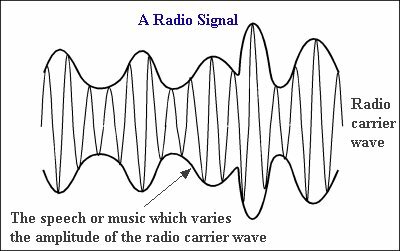 It is the addition and translation of the signal onto/from the carrier wave that allows for the ability to convey information at a distance. All electronic devices that transmit through the atmosphere, whether radio or television, utilize this technical phenomenon. The concept to be conveyed from the above examples is that of the ability to add an injected signal as an electromagnetic wave component to the original carrier electromagnetic wave that may then be subtracted from the carrier wave and the signal retrieved at a distance or later date. The carrier wave has been encoded with informational content. In either case described above, equipment made from matter was tuned to selected characteristics of electromagnetism in order to convey information at a distance. Electromagnetic waves (EMW) have both an electric and magnetic component [ http://en.wikipedia.org/wiki/Electromagnetism ]. Electronics, manmade objects, utilize mostly the electric component of the EMW. Living entities, however, utilize mostly the magnetic component of the EMW [ http://www.journalinformationalmedicine.org/imf.htm ]. This fact is at the core of this article! The large, highly structured compounds made by plants and found in nature have a characteristic field due to the matter that makes up the whole. The same may be said of the elements, molecules and other compounds found in nature that are native to soil, bodies of water and the atmosphere. The difference is only that of scale but all have an overall characteristic field that is unique to that non-living entity. The key concept to be conveyed is that of the uniqueness of the overall field of any particular element/molecule. The highly structured compounds made by the plant kingdom are so large as to allow for many minute changes to the overall field of that compound. This is due to the characteristics of the electron distribution by the overall molecular structure. In biochemistry, the larger the molecule, the greater the fluidity of electron field distribution and thus the greater for the possible conveyance of encoded information! What means are there for "reading" encoded information in any particular molecular field? The technical aspects of modern analytical chemistry are almost entirely electromagnetically based. A specific frequency of an EMW is generated and the sample to be analyzed is subjected to a pulse of the EMW. The characteristic response of the sample to the EMW pulse is then recorded. The usual response by the sample is mostly some type of EMW that is very much characteristic of the molecular structure of the sample and, importantly, unique to that sample. The other type of analytical method utilized is that of photonic excitation or emission. Photonic emission relies upon the unique characteristic photons given off by samples subjected to high temperatures. Photonic excitation relies upon both molecular rearrangement and enhanced photonic emission as a response by the sample to exposure to high-energy photons, usually having a certain frequency or narrow band of frequencies. The work of Dr. Vladimir Poponin has shown that matter, in this case a DNA molecule, has the ability to orient photons. This orientation remains after the DNA has been removed [ http://twm.co.nz/DNAPhantom.htm ]. Thus, either photonic characteristics or the electrical component of the EMW are used to identify and read matter. It is very rare for the magnetic component of the EMW to be used for analysis. Electronics relies upon addition of a signal EMW to a carrier EMW. As stated above, magnetism is usually used for storage and retrieval of information by electronic means. The examples of man-made encoding and reading of the information characteristics of matter were used for the purpose of explaining encoding phenomena. However, more to the point of this article is the answer to the question of what encoding phenomena is found in nature? The 4 major means are of terrestrial and extra-terrestrial origin. The terrestrial means is by the cooling of magma in the biosphere and the magnetic field generated by the dynamo of the core of the Earth. The extra-terrestrial means are by interaction of photonic radiation and solar wind wavicles with the magnetosphere of the Earth, the atmosphere of the Earth and the non-living & living components of the biosphere. The local magnetic influences in the biosphere are the surface field lines of the Earth dynamo and cooled crustal molecules that are of a magnetic nature. These 2 components determine the overall magnetic influences at the local level for all matter, whether non-living or living. Living entities incorporate these crustal/soil molecules into the physical structure that comprises the "body" of any particular species. The same may be said of the molecules derived from the atmosphere. The encoded information characteristic of these matter components then becomes part of the body of the living entity, part of the overall body-field. The Sun is the source for most of the photonic radiation that impinges upon the Earth. This insolation is utilized by the plant kingdom to conduct photosynthesis and produce the oxygen necessary for multi-cellular living entities and the myriad of compounds that are found within the physical structures of the various species of plants. The Sun provides the photonic energy for construction and the Earth provides the geomagnetic background within which that construction proceeds. This background encodes information into the compounds being formed according to local geomagnetic influences. The components of the solar wind mostly interact with components within the atmosphere and very little if at all reaches the surface of the Earth. Thus, all components of the food chain within and derived from any local environment are encoded by events that form the local environment. This encoding then eventually will be used by the local web of individual and species interactions and incorporated into their physical body structure. It is a law of physics that a greater energetic or magnetic field influences a lesser energetic or magnetic field such as to alter the characteristics of the each component. This alteration may be done so as coherent [ http://en.wikipedia.org/wiki/Coherence_(physics) ] resonance [ http://en.wikipedia.org/wiki/Resonance ] or incoherent resonance [ http://www.physik.uni-augsburg.de/theo1/hanggi/Papers/177.pdf ]. Coherent resonance between interacting members allows for energy transfer without loss of energy during the transfer (or very little). Incoherent resonance between interacting members results in energy dampening by the more energetic member until equilibrium is reached and an intermediate stable state exists between the members. This concept of coherent resonance/incoherent resonance plays a major role in the affairs of living entities. The type of energy or magnetic field interaction alluded to above be not of a biochemical nature but of a strictly physical nature, i.e., no biochemical reaction is as yet taking place. The interaction may allow for biochemical reaction to result and, indeed, are necessary before any biochemical reaction can proceed. This is the nature of all biochemical events within the "body" that lead to changes in physiology within the organism - a change in field state always precedes that of a biochemical event! In light of the above, it is easy to understand that any living entity that has some form of incoherent resonance within the physical body of the individual will eventually exhibit signs and symptoms of that incoherence, which is called dis-ease. Disease is a state of altered physiology and blocked energy flow within the individual. The location of the blocked energy flow due to an incoherent physical state will determine the nature of the illness. Incoherent states within an individual may be of an emotional, mental and physical nature. The purpose of all medical practice is to remedy dis-ease and return the overall bio-field of the body to a normal and coherent state. Of import for this article is the concept that the incorporation of foodstuffs that are far from the coherence of the physical body of the consuming organism will cause a depletion of the overall field strength of the organism that must overcome the dampening effect of the incoherent foodstuff in order to maintain body-field integrity. This fact is the reason that hospital beds are placed so that there is at least 6 feet between them so that the body-field of an ill person will not adversely affect that of another patient. Incoherent matter field interactions always cause a dampening of interacting field strengths, a reflection of the laws of physics. The degree of incoherence may be minute and hardly noticeable to very great and life threatening. Homeopathy has made great strides in cataloging all aspects of incoherence as signs and symptoms within the emotional, mental and physical components of the individual. The encoding of informational content in matter by artificial means is very well known in electronics. The 2 characteristics of matter that allow for encoding are based upon overall electron spin configuration and magnetic polarity. This is the basis of all digital media types of matter encoding. As all photonic emissions are of an EMW, information may be encoded by the addition of a signal EMW to the main, carrier wave component. Thus, both matter and photonic phenomena are amenable to informational encoding. What other means are available for encoding information in matter other than electronic methods? The Princeton PEAR Study [ http://en.wikipedia.org/wiki/Princeton_Engineering_Anomalies_Research_Lab ] has shown that the enormous databases produced by PEAR have provided clear evidence that human thought and emotion can produce small but measurable influences on physical reality and have established numerous insights into their major correlates. The process of producing coherent resonance in matter can be constructively influenced by the projection of focused, conscious intent by a human individual. This shows that the only difference between magic and prayer is intent! Sound and light have been shown to influence both mood and mental state in animals. Sound is a vibratory phenomenon transferred through the atmosphere, water and the Earth. The frequencies and harmonics of the vibrations are what determine the effect upon human consciousness. This is the study and practice of music. Is the sound being produced causing a sense of harmony or discord within the overall body-field of the individual listening? Lighting within the home and workplace has been extensively studied. Again, the effects of lighting, or absence thereof, are to cause harmony or discord within the overall body-field of the individual. Both sound and lighting are used in the clinical setting to enhance the healing experience by the patient. A harmonious encoding within the individual is accomplished by pleasing sound and soothing lighting. But what means are available for encoding information in matter that will affect the coherent resonance of the physical body, emotions and mentation of an individual and thus to directly affect the overall body-field coherent resonance, the aura? One such means is to use herbal preparations in their native state or tinctures thereof for medicinal purposes [ http://www.journalinformationalmedicine.org/htp.htm ]. Herbal preparations have been derived from plant species that have encoded information within their physical structure. It is not necessary for man to encode any further information before usage. Well then, what cultural expressions of medicinal preparation have been promulgated purportedly to act on the physical body in some manner to affect healing? One such means is referred to as magnetic therapy, first systematically utilized by Father Maximilian Hell and taught to Dr. Franz Anton Mesmer [ http://www.journalinformationalmedicine.org/earlypion.htm ]. Dr. Mesmer then went on to develop the concept of Animal Magnetism. Both were working with influencing the human body-field (HBF) to effect healing. Both were working with influencing the coherent resonance of the HBF. Father Hell used bar magnets while Dr. Mesmer used his own body-field projections to affect healing. Dr. Samuel Hahnemann developed Homeopathy as stated above. Another method of influencing the HBF of an individual is that of Bach Flowers [ http://en.wikipedia.org/wiki/Bach_flower_remedies ] that are used as an adjunct to Homeopathy. In order to begin to understand the process of informational encoding for the purposes of influencing the HBF of an ill person, the nature of the elements that make up the preparations and their interactions need to be discussed before the actual process will be able to be understood. Please do read the informational links provided. Water and specifically water complexes have the capability to store information [ http://diamondhead.net/p18-2.htm ]. According to Hans Giertz [ http://www.miklagaard.com/wp-content/uploads/PDF-Bacteria.pdf ], water can be described as a forced damped oscillator. ELF EM energy in 2-10 Hz range enforces resonance in water. It alters the water ion-H2O molecule structure. In relation to ion channels, the water channel and receptors build on the relation between embedded static charges and the water ion-H2O molecule structure. The element that specifically works with and enhances the ability of water to store information is that of Silicon [ http://www.journalinformationalmedicine.org/bpes.htm ]. This does not preclude the participation of other elements but Silicon is the best known so far. These water/silicate compexes display very large distributions of "fuzzy" electron configurations that lead to participation in encoding phenomena. This property is at the heart of the dilution and succussion process protocol of standard homeopathy. Now it is possible to understand the process of informational encoding in water mixtures for the purpose of preparing remedies that constructively influence the coherent resonance of some component of the overall HBF of the physical body. Each preparation uses a known agent, an agent that causes a specific set of signs & symptoms in the healthy person. The preparation will address disharmonies in a component that participates in the overall makeup of the HBF. This will restore the smooth and natural flow of resonant energy throughout the meridians of the physical body. The resonant body will naturally restore the health of the individual! The work of Dr. Luc Montagnier [ http://en.wikipedia.org/wiki/Luc_Montagnier ] has shown unequivocally that the standard Homeopathic protocol for the production of remedies is effective in doing so. Dr. Montagnier has stated that his work shows that "water memory" is real [ http://petefree.com/distinguishingcrazyfromsaneinscienceisoftendifficultdrlucmontagnieranddnawatermemory.html ]. This article, [ http://prof77.wordpress.com/2011/01/28/dna-replication-at-a-distance-reported-by-nobel-scientist/ ], details all related research. And today, Homeopathy is the premier systematic mode of healing utilizing the encoding of information in matter preparations for ingested usage. Living entities have bodies that are made up of matter derived from the atmosphere, waters and crust of the Earth, as stated above. Because of this fact, all living entities have an "aura" or body-field that is the sum of all the components of the body. This is also the same as for all non-living matter. All matter, whether living or non-living has a field due to the sum total of all sub-components that go to make up the total composite field. The information provided above has shown the interactions of aggregations of matter. Is it not reasonable to assume that the same physical and chemical processes occur in non-living as well as living matter form? What is it then that makes living matter different from non-living matter? The various forms of energy that dissipate through matter, if energetic enough, cause molecular re-arrangements that eventually produce that most stable form of that matter aggregation. Living entities have the ability to move energy through the accumulated matter of the physical body in a directed manner and even store energy for usage later. In addition, non-living matter assumes the field characteristics of the components that make up the matter aggregation within the background local environmental field upon solidification from liquid magma. Once formed, this field is stable unless re-liquefied. The information that is encoded within the field of the matter aggregation is also stable. This stable informational field is what makes up the non-living background of the local biosphere. Living entities have the unique property of altering various components within the physical body to suit the background within which that entity lives and conducts behavioral processes necessary for survival as an individual and as a species. It is the DNA and RNA complexes of living entities that allow for this remarkable ability. The human body-field has been characterized [ http://www.journalinformationalmedicine.org/hbf.htm ]. Energy within the human body moves within channels or meridians. The cells that collectively made the developing extracellular matrix compartments during the formation of the embryo produced these meridians. The energies moving through the meridians being alluded to are not that of the energy used to produce the biochemical reactions of cellular metabolism. The energies being alluded to are scalar and coherent resonant energy transfers. These energies, bioscalar energies [ http://diamondhead.net/fle.htm ], move within the channels. The channels are in coherent resonance with the rest of the total physical body. If the natural human body-field (HBF) encounters a disharmonious matter aggregation that is not in coherent resonance with itself, there is a shift in energy patterns. The healthy body will be able to compensate for this shift by altering the field of the matter encountered, such as during feeding, or move the body away from the disharmonious field in the case of an environmentally encountered geopathic zone [ http://www.ncbi.nlm.nih.gov/pubmed/16391480 ]. What is the matter component of the physical body that has the greatest effect upon encoding information within the physical structure of the body? It is the DNA/RNA complex within the chromosomes and nuclei of every cell. In fact, it is the sum total of all the DNA photonic energy emissions that go to program the resulting HBF [ http://www.journalinformationalmedicine.org/hbf.htm ]. Chronic disharmony in components that go to make up the total HBF result in blocked energy flow in the channels/meridians. The result is deranged physiological processes that directly cause the resulting signs & symptoms of dis-ease within the body and the causal detectable skews in the HBF. Homeopathic practitioners are highly trained individuals that are able, with the assistance of disease sign & symptom catalogues, to prescribe a homeopathic prescription according to the signs & symptoms displayed by a patient. The homeopathic prescription will address the disharmony within the HBF to bring the sub-component out of balance back to harmony with the whole. The overall smooth flow of life energies is restored and the physiology of the body is restored. The result is the return to health. Remember, it is the collective DNA/RNA complex that generates the HBF. Thus, it is the energetic frequencies of the remedy that influences the cells and tissue that are out of synchronization with the rest of the collective cells and tissues that go to make up the organ systems of the whole body. This is the reason that a disharmonious energy flow always precedes deranged metabolism. This is also the reason that emotional and mental signs & symptoms are of the utmost import to the homeopathic practitioner. The central nervous system and the enteric nervous system are particularly sensitive to disharmonious energy flow within and without the body. Derangements in the emotional and mental state are always the first indicators of any disharmony! This article has provided ample evidence to support the premise that Homeopathy was the first systematized western healing modality of Informational Medicine. Background information showed that Homeopathic remedies address derangements in components of the HBF that are originally generated by the DNA/RNA complexes of cellular metabolism that go to produce an overall morphogenic field. Homeopathic remedies address these derangements to bring about a return to overall HBF harmony.